Developer website: Reolink Digital Technology Co., Ltd.
Is there a better alternative to Reolink Client? 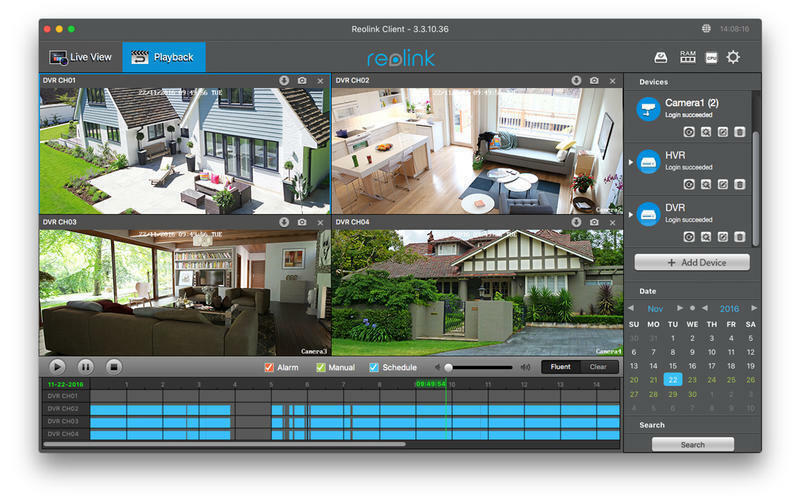 Is Reolink Client really the best app in Video category? Will Reolink Client work good on macOS 10.13.4? 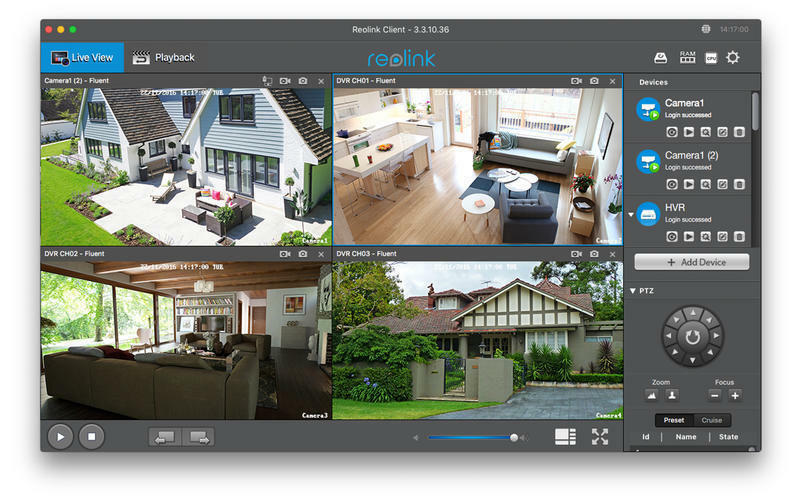 Reolink Client is an easy-to-use security camera system surveillance software. It enables you to locally or remotely access your IP cameras and NVRs on Mac computers. You can monitor and watch live streaming of your home and business anywhere and anytime. It allows you to get 24/7 continuous recording in your computers. Only 3 steps to access cameras and NVRs (at the same local network) --- the easiest solution ever. Easy and friendly interface for all users to use. Remotely monitor and watch live streaming on Mac anywhere and anytime. Reolink Client needs a rating. Be the first to rate this app and get the discussion started! Allow you to get 24/7 continuous recording on your Mac. Enable you to review 4-channel recorded video at the same time. Remotely playback video recording from your camera SD card and NVR HDD. Capture video from Live View channels to playback. Capture single and multiple images to save on your Mac. Schedule video recording (including motion-triggered recording) at anytime. Control PTZ (pan-tilt-zoom) cameras remotely (left, right, up and down).